Coconut oil soap recipes for those individuals that prefer all natural skin care products are provided below. Coconut oil has many benefits for the skin. It is an effective moisturizer for dry skin and for all other skin types as well. Coconut oil is effective in preventing skin wrinkles and sagging of skin, which are common problems that occur as skin ages. Coconut oil and products such as coconut oil soap are also effective in the treatment of a variety of skin problems. Some of the skin problems that benefit from coconut oil use include eczema, psoriasis, and dermatitis. 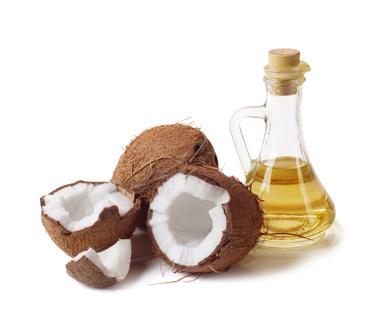 Coconut oil has antioxidant properties, which help delay the aging of skin and prevent skin cell damage. Finally, coconut oil has anti-fungal and anti-bacterial benefits. 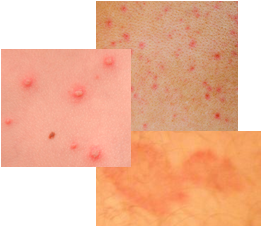 Therefore, it helps with ringworm and infections. It speeds up the healing of tissues as well. It is no wonder why coconut oil skin products and coconut oil soaps are in demand. Ebook with Over 500 Homemade Soap Recipes Available from Healthy-skincare.com for only $4.99 US. Melt the MP soap base and add the coconut oil. Remove the mixture from the heat and whisk it well. Add the essential lemon, grapefruit, and orange oils, and whisk the combined ingredients well once again. Add a few drops of yellow or orange dye if desired. Pour the soap into molds of your choice. Melt the soap base and the coconut oil, stirring well while heating. Remove from heat and add the one teaspoon of peach tea, a couple of drops of the peach fragrance oil, and the peach dye if you desire coloring. Once all the ingredients are well mixed, pour the soap into molds. Melt the MP transparent soap base and coconut oil until it is a liquid. Remove from heat and mix well with a whisk. Add the coconut, mango, and pineapple fragrance oils, and any colorant that is desired. Pour the soap mixture into molds and let it cool and harden. Follow basic cold-process soap making instructions. The beer is used in place of the water. It is very important that the beer is very flat for safety reasons. Alternatively, replace flat beer with water. Mix the lye and water and set aside the mixture to cool. Melt the palm oil and coconut oil together and also set aside to cool. Mix the olive oil and oatmeal together. When the lye reaches 100 degrees and the oils are 120 degrees, pour the lye into the fats and stir until it traces. Be careful when heating oils! Add the oatmeal, and stir until well mixed. Pour the soap into molds. Allow the soap to sit for 24-48 hours.